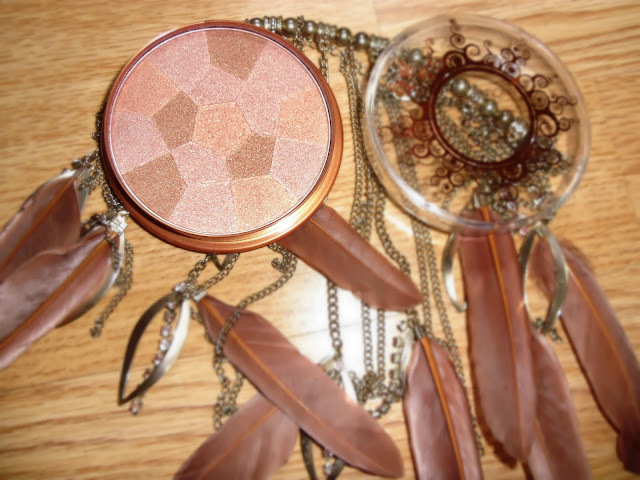 Ok so I've been looking for a bronzer which is really shimmery. For the odd occasion when my skins really clear & I'm all tanned. When I came across 'Collection - Mosaic Glow' I purchased it straight away from Amazon for just £2.99. Can't really complain can at that price, can you? 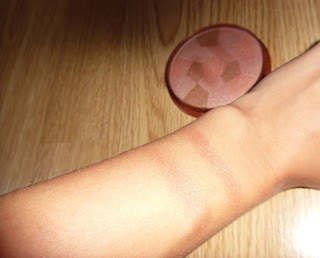 Look how highly pigmented the bronzer is. blow/tap off any access, don't want to look like one of those umpa lumpa's! I think this will look so nice when you've got a tan or done your weekly sneaky fake tan. Add a dash across your collar bone & up your pins for a super 'glow' look. Now that I'm pleased with a shimmery bronzer. Got to get down with kids haven't you ha ha! Adding more blondes/caramels to my hair.. Can never leave it be! Hoping it turns out ok.. Fingers crossed! Hope you're all having a loving week anyway! It really is! You have to be careful not to end up looking like a clown ha ha! I've just had a look on the Benefit site and seen so many thing's I want to buy.